This detailed interpretive guide explains the forces that created Utah's unforgettable scenery, while providing road logs of highways and major backroads through the Grand Staircase of the Colorado Plateau. Where in Utah can you find a fossilized ant hill that is at least fifty million years old? Do you know the location of an ancient beach that disappeared along with the dinosaurs that strolled it? 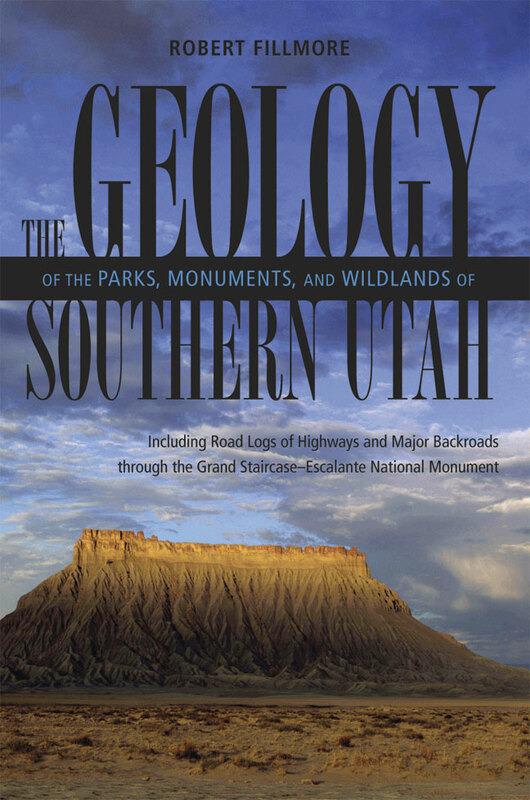 Find out in The Geology of the Parks, Monuments, and Wildlands of Southern Utah. This fascinating and authoritative guide belongs on the dashboard or in the backpack of every visitor to southern Utah or student of its natural history. More than sixty illustrations and nearly three dozen photographs accompany clear explanations of the spectacular geologic features of this landscape, including Capitol Reef, Bryce Canyon, and Zion National Parks, as well as the Grand Staircase-Escalante Monument. Section I of the volume surveys chronologically the origins of the formations and structural features and the geologic processes that have shaped the Colorado Plateau. Section II provides road logs with mile-by-mile geologic descriptions of key sections of highway traversing this area. This detailed interpretive guide turns any windshield into a window of opportunity for understanding the forces that created Utah’s unforgettable scenery—whether it be a breathtaking panorama or a dazzling array of fins and fractures, pillars and pedestals, or cliffs and chasms. Robert Fillmore is professor of geology at Western State College of Colorado in Gunnison. His articles, abstracts, and chapters have appeared in many journals and books.